Juliet Eilperin’s “Demon Fish: Travels Through the Hidden World of Sharks” hit bookshelves earlier this week. 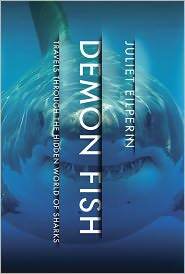 Juliet has written many great articles about shark science and conservation for the Washington Post, where she works as a science and environment reporter, and I was excited to read Demon Fish. It did not disappoint.